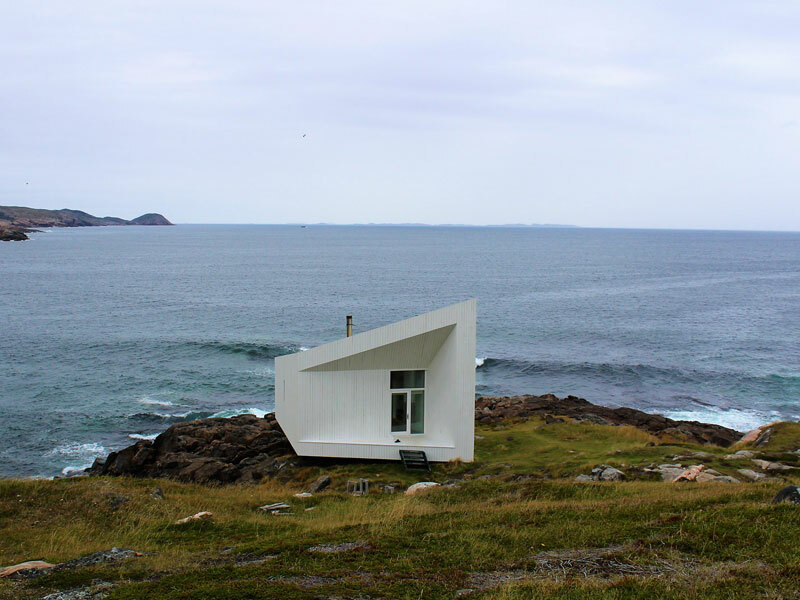 Thinking of taking a road trip in Newfoundland? Good idea! 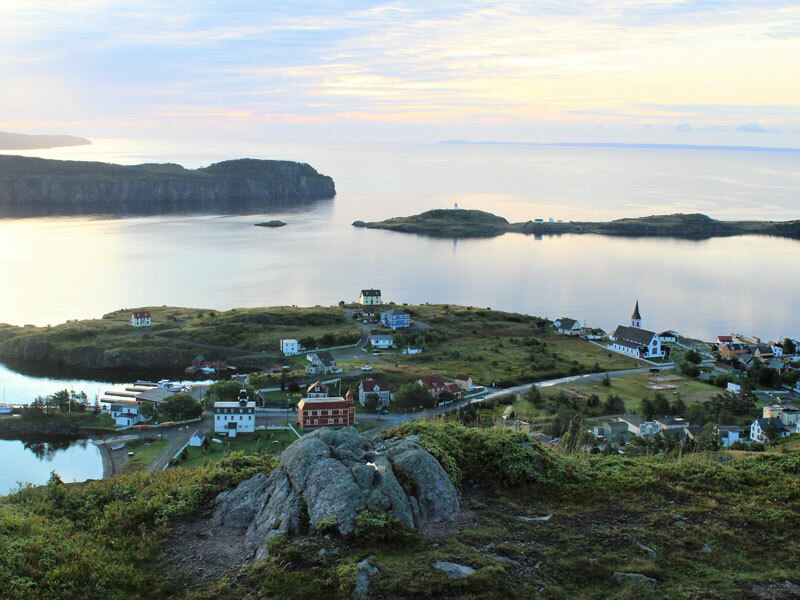 This travel guide and itinerary explores the top historic sites, natural wonders and hidden gems uncovered on our 11 day driving trip through Newfoundland. I have always been curious about Canada’s most easterly province – Newfoundland & Labrador. Can you blame me? 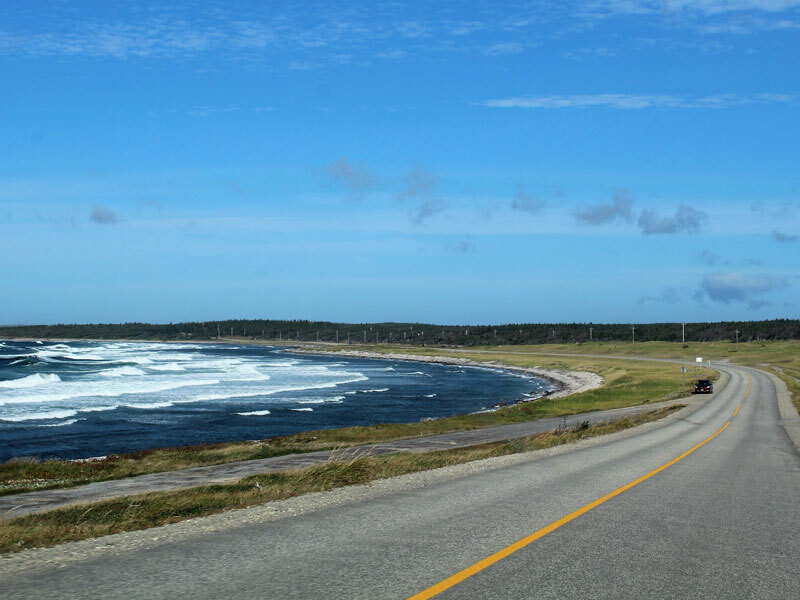 It’s easy to be intrigued by a rugged island surrounded by 29,000 km of Atlantic coastline, accented by colorful houses, and inhabited by charming characters and gargantuan icebergs. 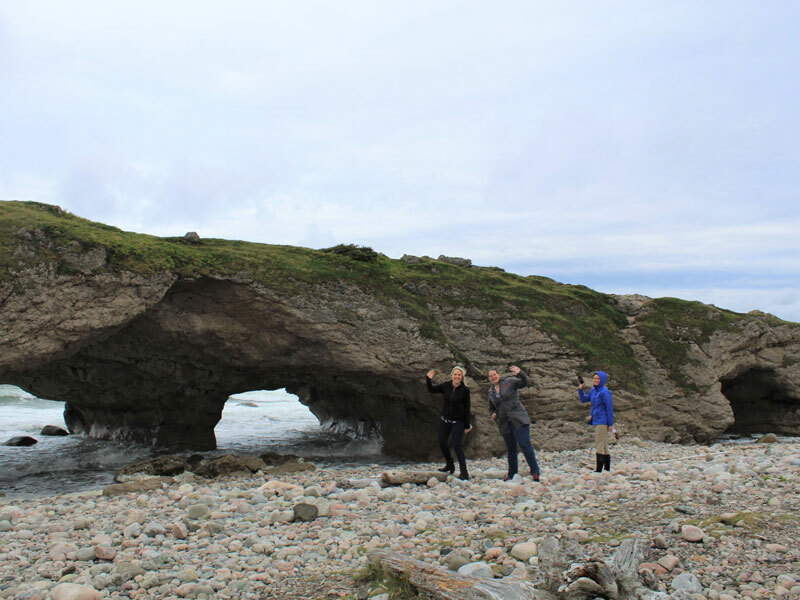 To satiate this curiosity, a few colleagues and I departed on an 11 day road trip through Newfoundland to explore the must see highlights, best driving routes, and tastiest seafood spots. I can speak for all of us when I say, the destination far exceeded our expectations and left us planning our return. 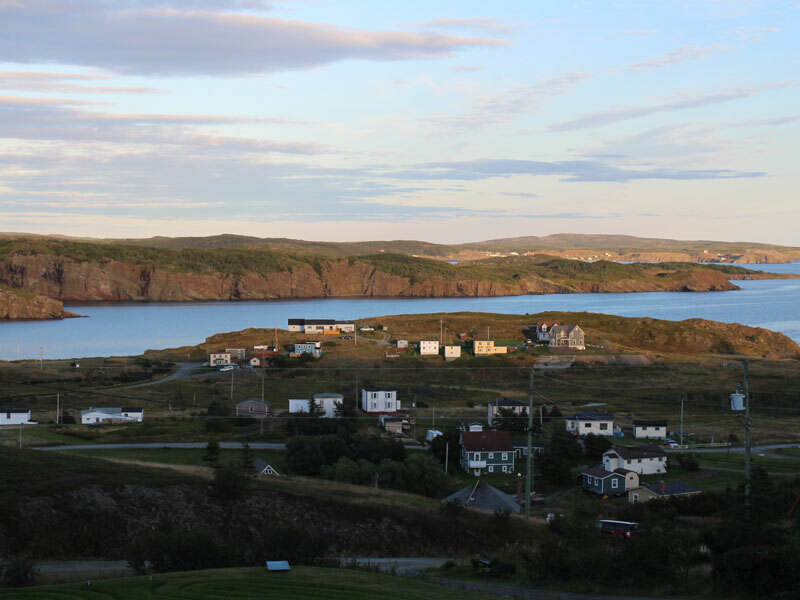 Here’s our recommended list of what to see and do on a driving trip in Newfoundland, Canada. We started in the province’s capital St. John’s, a lively city with 500 years of history. The perfect kick off to any trip should involve live music every night, historic and scenic sites, whale watching and fresh mussels! We stayed at the Murray Premises – a character property in the downtown core right next to the action. Some guests may prefer to stay outside of the bustle of downtown which we can arrange; both will require booking well in advance. Only a 20 minute drive from downtown, and we were standing at North America’s most easterly point - Cape Spear Lighthouse. If you can muster up your best version of a morning person– then this is a beautiful spot to catch the first sunrise in all of North America. If sunrise is too ambitious for you, be there for 9am and you’ll beat the tourist crowds. 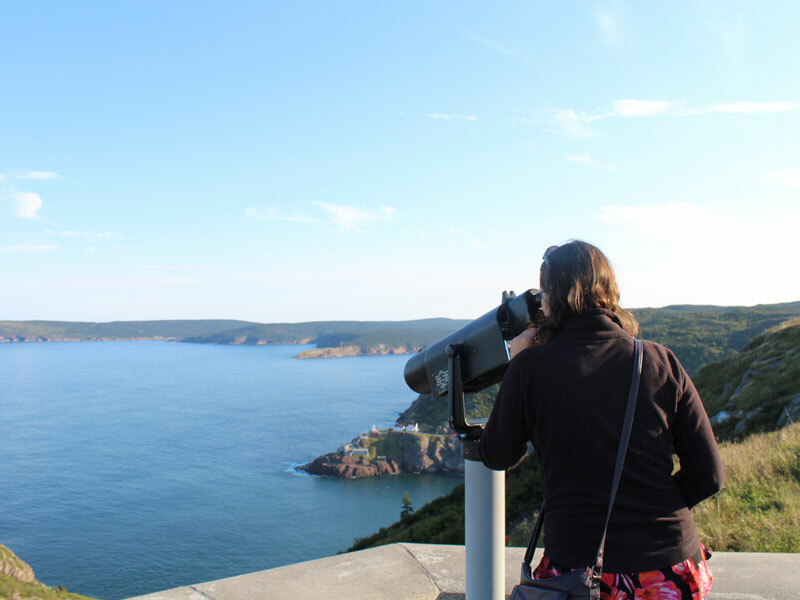 From Cape Spear, it was a short drive to Bay Bulls for the Gatherall’s Puffin & Whale Watch. At this point I was starting to get the picture that Newfie’s do things a little differently – and their whale watching proved no exception! Soon into our departure, live guitar was serenading us a local diddy while we clapped and stomped along; the guides were brothers who told us stories of growing up in Newfoundland in between acts. This was mid-September, so the puffin season had just passed, but we still managed to spot a few clumsy and loveable little puffins at Witless Bay Ecological Reserve. Fun Fact: the puffin is Newfoundland’s provincial bird. Catch sightings throughout the province from mid-May to early September. 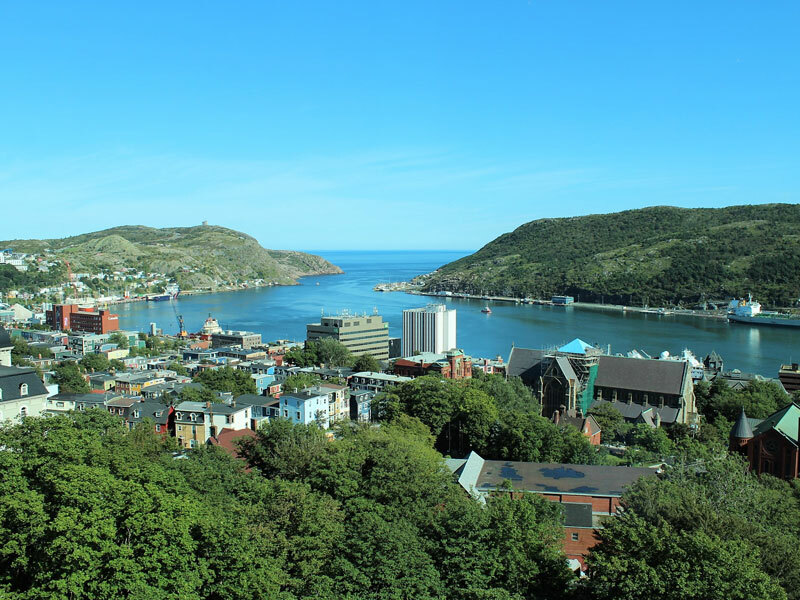 This is a popular attraction in St. John’s for its historical significance and sweeping views of the city. Enjoy a coastal stroll along the site of the city’s harbour defences to the Second World War in the 17th century and discover where the world’s first transatlantic wireless signal was received in 1901. 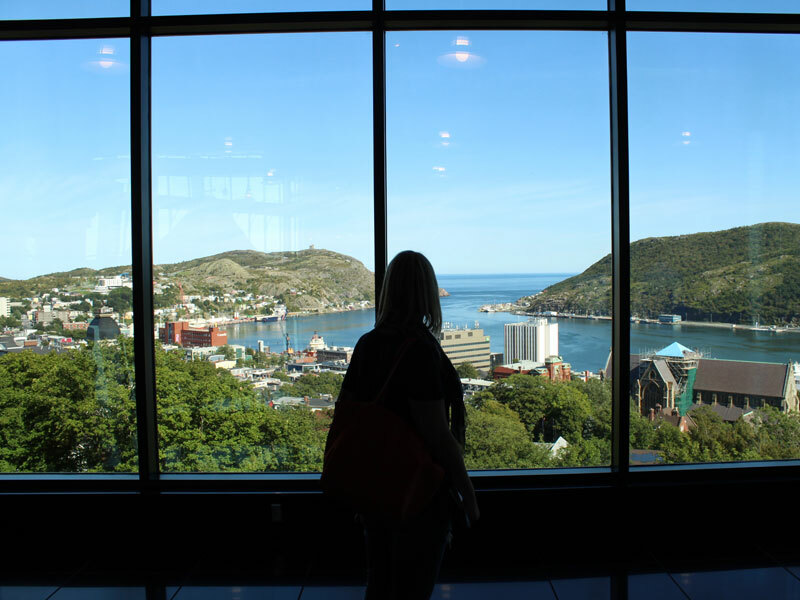 This impressive museum and gallery captures Newfoundland culture and history under one roof and includes (you guessed it) another fantastic view of the city! It makes a great rainy day activity too and pairs nicely with the nearby Johnson Geo Centre. 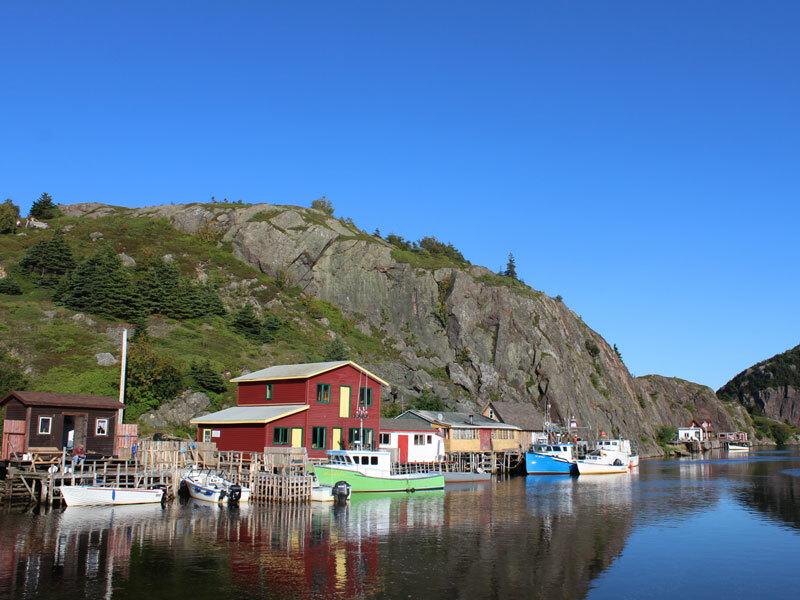 For all you Instagrammers out there – Quidi Vidi Village is the place to capture the quintessential Newfoundland harbour shot featuring colorful fishing huts staged against jagged rock face. Do some shopping at the Village Plantation – where you’ll find local artisans selling and working from their studios. Finish with an Iceberg Ale at the brewery - they have a pretty entertaining brewery tour if you have time to book one in. 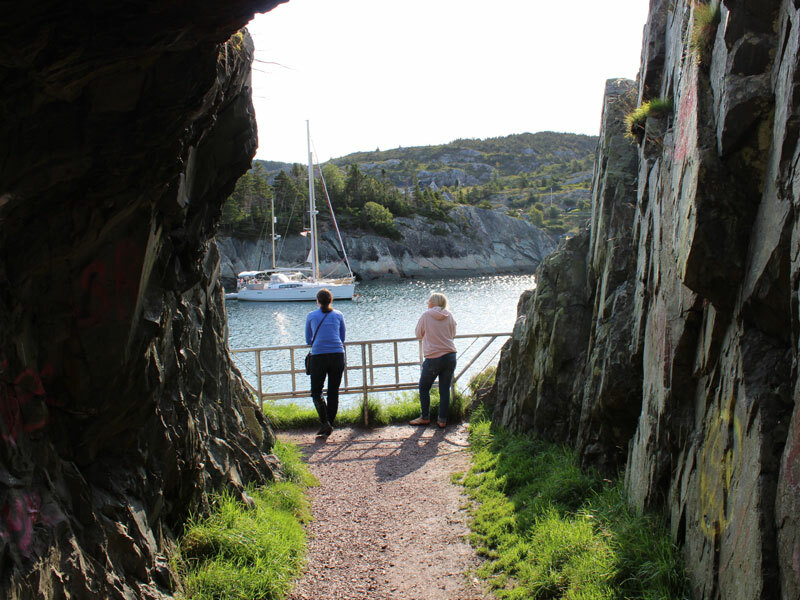 Heading out from St. John’s, on the way to Trinity, we discovered some worthwhile stops including the quaint community of Brigus where you can visit the Brigus Tunnel, and do an archeological dig at the Cupid’s Cove Plantation Site. Tip: Grab lunch at Heart’s Content after visiting the Cable Station Provincial Historic Site or take a bagged lunch from your accommodation in St. John’s as there are limited food options along the drive and nobody like a hangry road trip buddy. Arriving to this charming little waterfront town was like stepping back in time – and I welcomed the opportunity to slow down and take in the settings. The town features artisan shops, a theatre with nightly performances, rolling hills nearby for day-hiking, a local brewery, and a picturesque white church smack dab in the center. We had 2 nights total in Trinity, but visitors should do 3 at least, as there’s plenty to explore in the surrounding area. We stayed at the Artisan Inn in one of their lovely guest houses situated throughout the town with close walking distance to the main building where we enjoyed delicious locally inspired cuisine and warm hospitality. View from Fisher's Loft Another option for accommodation or a nice dinner out is the Fisher’s Loft just outside of Trinity in Port Rexton. Complimentary to the exquisite food, are stunning views overlooking the water-side community. As a stereotypical Vancouverite, I couldn’t miss the opportunity for a day hike and brewery visit! Endless dramatic cliffside views and easily manageable terrain make Skerwink Trail a no-brainer for outdoor lovers. 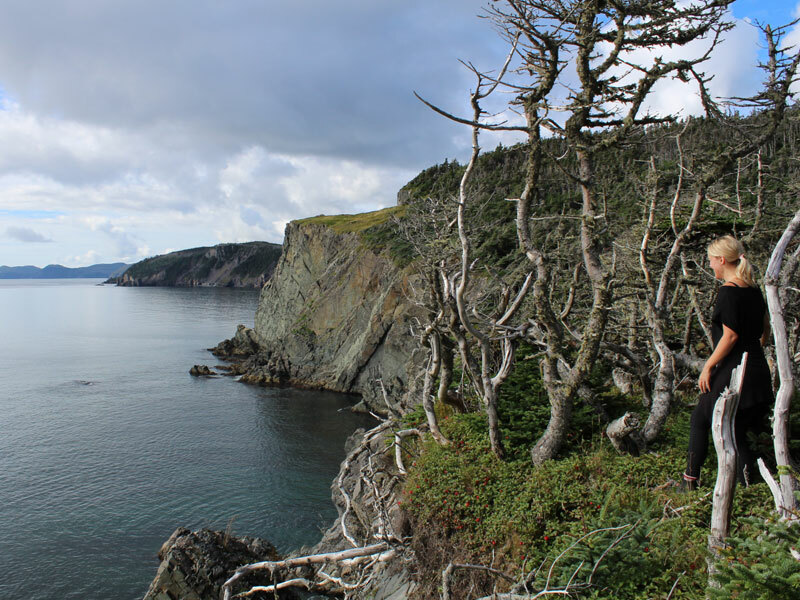 Reward your adventure with a pint at Port Rexton Brewing. 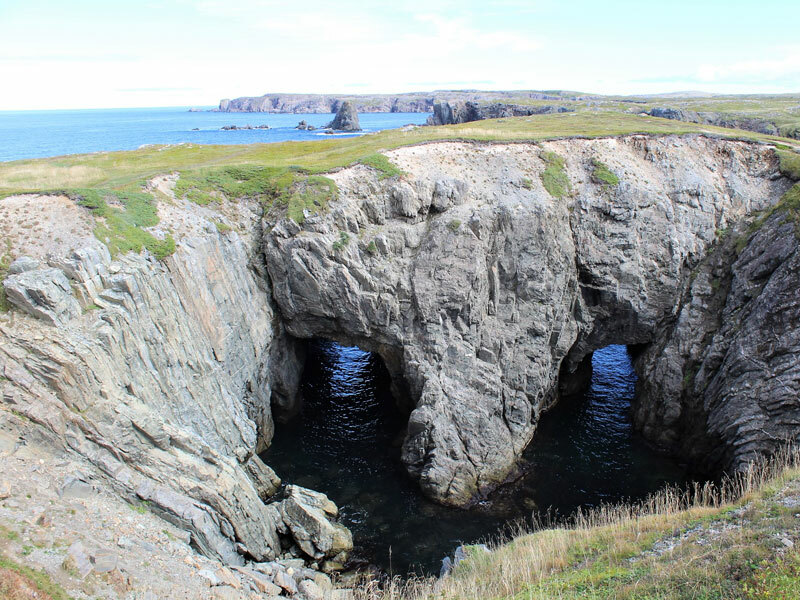 Discover grassy root cellars (look for the Hobbit doorways), stunning coastal landscapes and a puffin site! The jagged bright green cliffs and nearby Dungeon Provincial Park makes this a worthwhile stop even if you happen to miss the puffins. 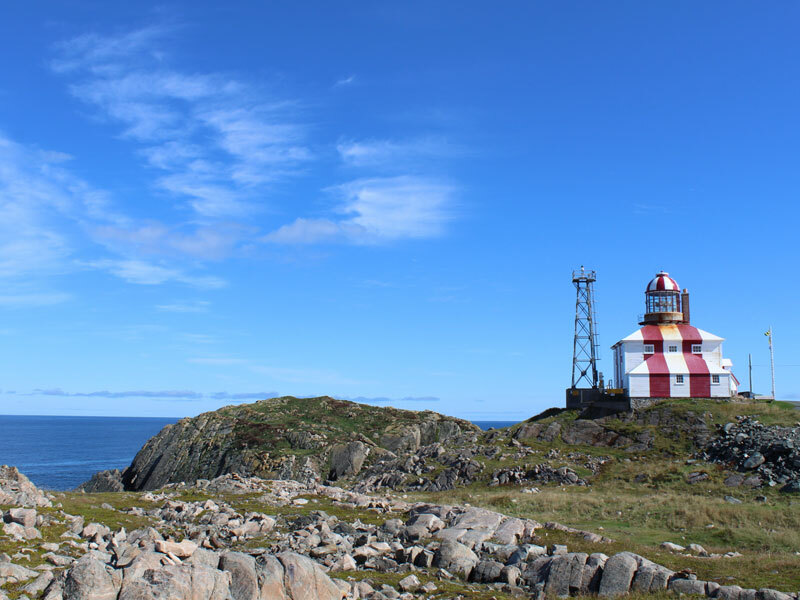 Visit Cape Bonavista Lighthouse Provincial Historic Site and take a stroll along Church Street for artisan shopping and home-made ice cream at Sweet Rock. For lunch, head to Neil’s Yard for delicious soups & sandwiches, and the best cup of coffee of your trip! From Trinity we drove about 3 ½ hours to catch the Fogo Island ferry in Farewell where we were welcomed by the community hosts of Fogo Island Inn with a thoughtfully prepared lunch, offering a taste of the personalized hospitality we were to receive at the inn and by the islanders. 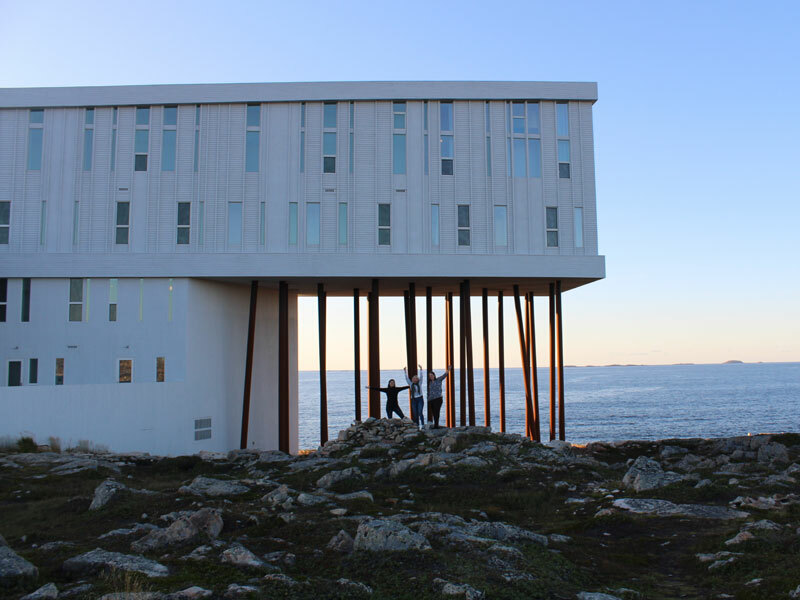 For those who can swing it, Fogo Island Inn is more than a highlight; it’s an experience that deeply impacts you, leaving a lasting impression long after departing. Perched on stilts at the edge of the earth, the inn captivated us with state of the art architecture and fantastic food; but what truly won us over was the feeling of home that was embodied by the Inn and echoed by the care in every detail. Through the Community Host Program we were guided by a third generation local through a berry picking and hiking experience. Then we were off to a traditional shed party, where we shared a beer and a tune with a few locals and visitors. 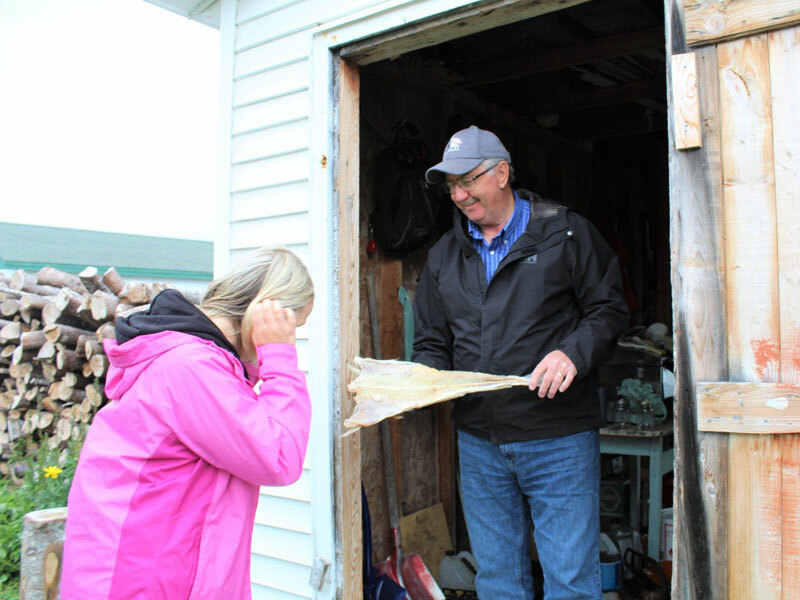 We toured the traditional fishing sheds and stages of Tilting, while listening to stories of life in this small fishing community and National Historic Site. 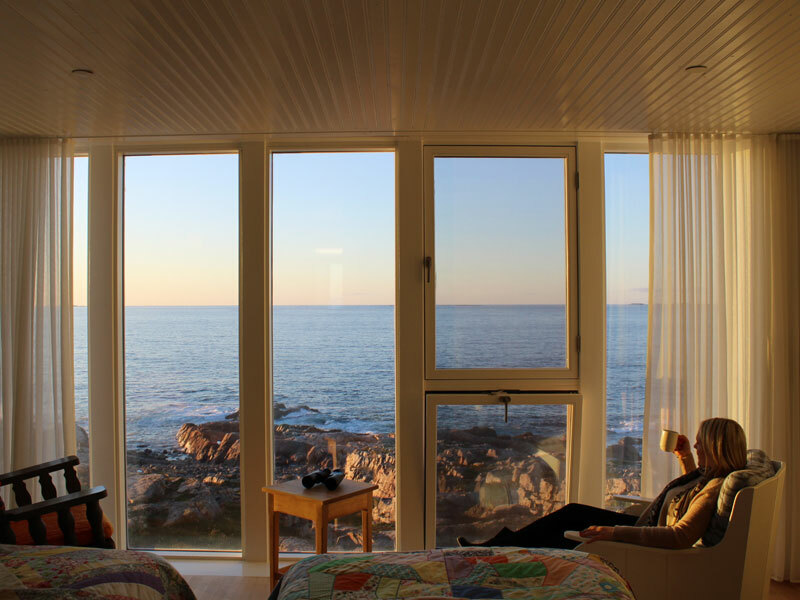 Depending on your interests and intentions, we’ll tailor these experiences to your Fogo Island Inn stay. 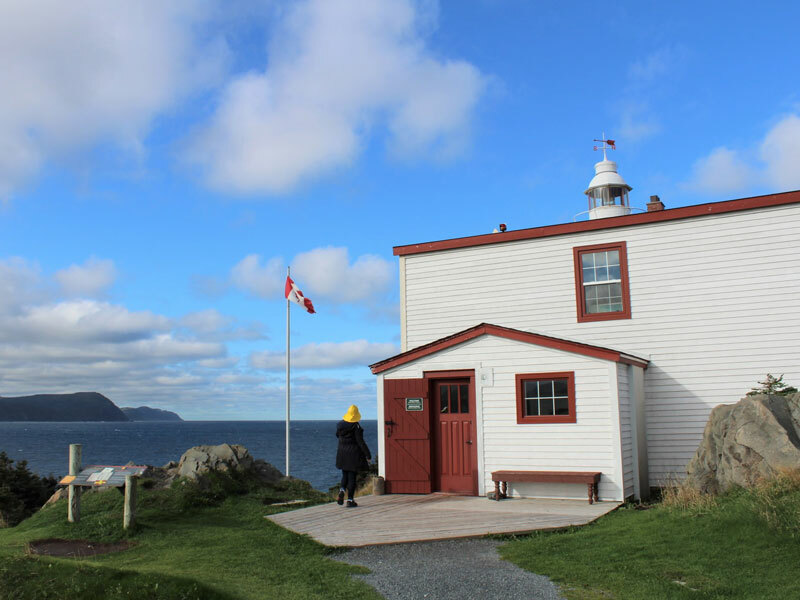 Note: you may wish to do a night in Twillingate before or after Fogo Island for iceberg and whale watching, but we had to miss for the sake of time. Getting There Tip: Heading straight for the Inn? Fly direct from Toronto to Gander, we’ll arrange for a community host to pick you up in Gander and take you directly to Fogo Island Inn – no rental car needed. 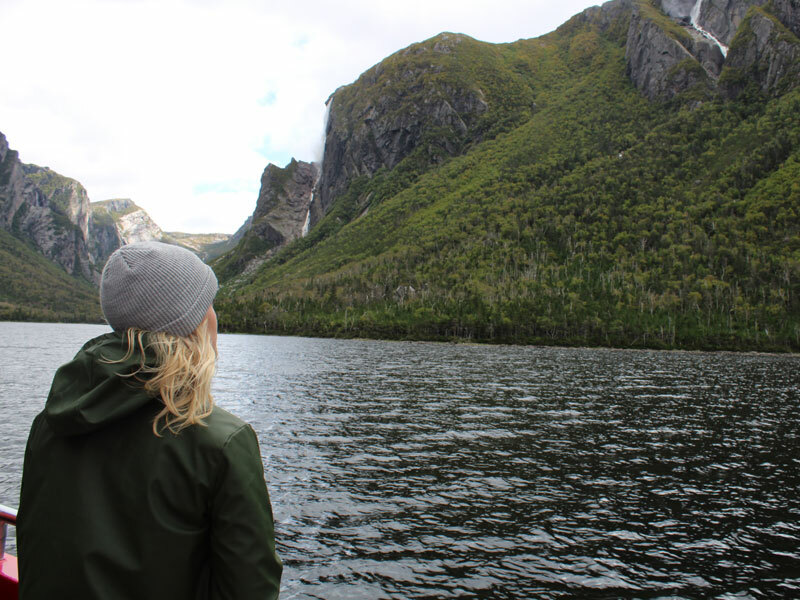 An outdoor enthusiast’s paradise, Gros Morne is a UNESCO World Heritage Site featuring 100 kilometers of hiking and walking trails spread across boreal forests, volcanic seacoast and mountainous terrain. Tip: Dinner at Chanterelle Restaurant in Sugar Hill Inn is a must for delicious seafood and an inspired wine collection. 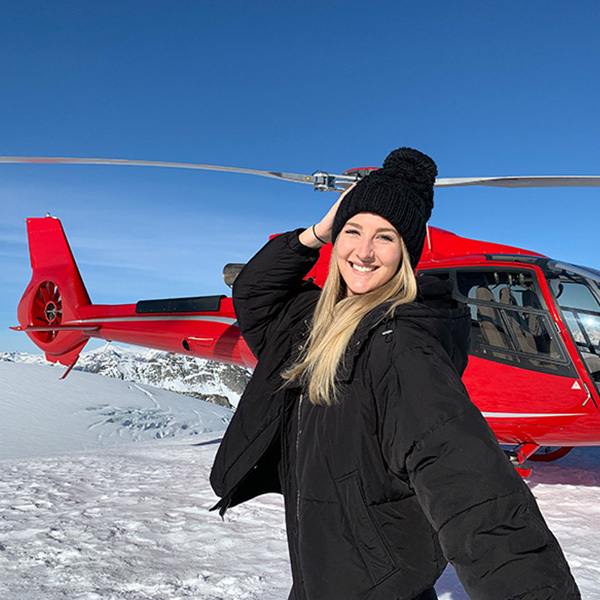 Imagine boating through a majestic glacier-carved fjord spotting 2,000 foot high waterfalls and pristine views at every turn - yeah, this is definitely a trip highlight. 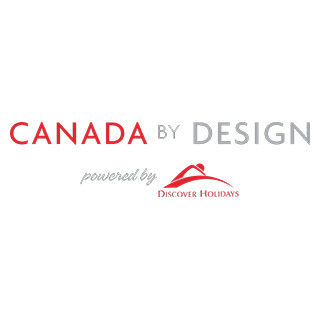 It's also a Canadian Signature Experience and one that I had dreamt of for years - and oh, did it deliver. We can arrange for private hiking tours for those who want to experience a new perspective of the fjord by foot. I’ll be taking on that adventure for my next visit! Note: Guests are required to walk about 45 minutes before reaching the boat dock – this is a pleasant, flat trail but some mobility is required. 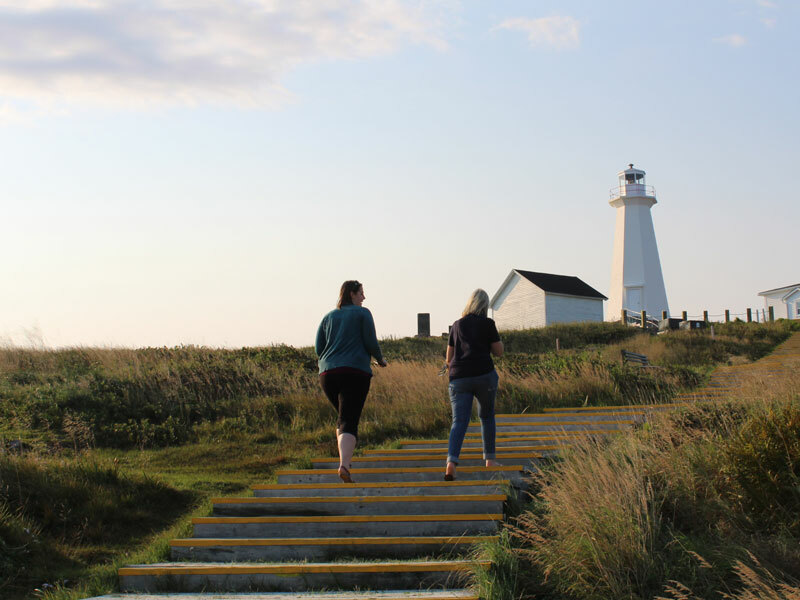 This makes a perfect road-side stop for a scenic stroll offering views of the Gulf of St. Lawrence and a cool lighthouse built in 1897 showcasing interactive exhibits of what life was like for the communities of the park many years ago. 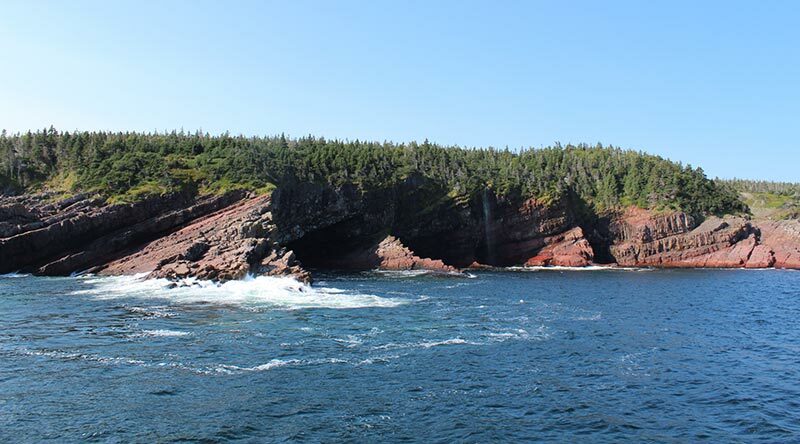 Tip: A great stop for kids is Bonne Bay Marine Station in Norris Point for an up close and educational look at some interesting sea creatures! From Gros Morne, we topped up our road trip snacks and refreshed our playlists for the full day ahead of us along the Viking Trail to St. Anthony, the town famous for the Viking history and ice berg viewing. This drive is a beautiful coastal stretch so relax, enjoy the journey and keep your camera ready. Check out a unique rock formation shaped by over 100 years of water erosion. The stellar photo and chance to stretch your legs will be well worth the small detour required. Have a snack at the picnic bench or simply walk along the rocky beach taking in the natural wonder. This artsy community is also a nice stop for lunch – try The Daily Catch for a quirky fish and chips spot. 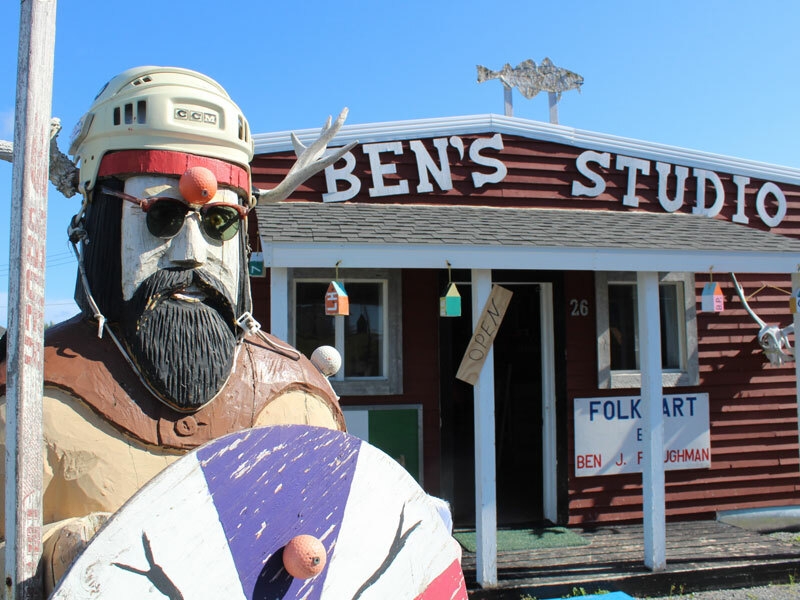 We also couldn’t resist taking a peek into Ben’s Studio; Ben crafts unique Newfoundland inspired portraits and sells from his studio. Experience the only known Viking site in North America – it’s why you drove all this way after all. This is the earliest evidence of Europeans in the Western Hemisphere and ranks as one of the world’s most significant archaeological properties. Give yourself a full day to explore the outdoor exhibit, onsite museum and theatre. 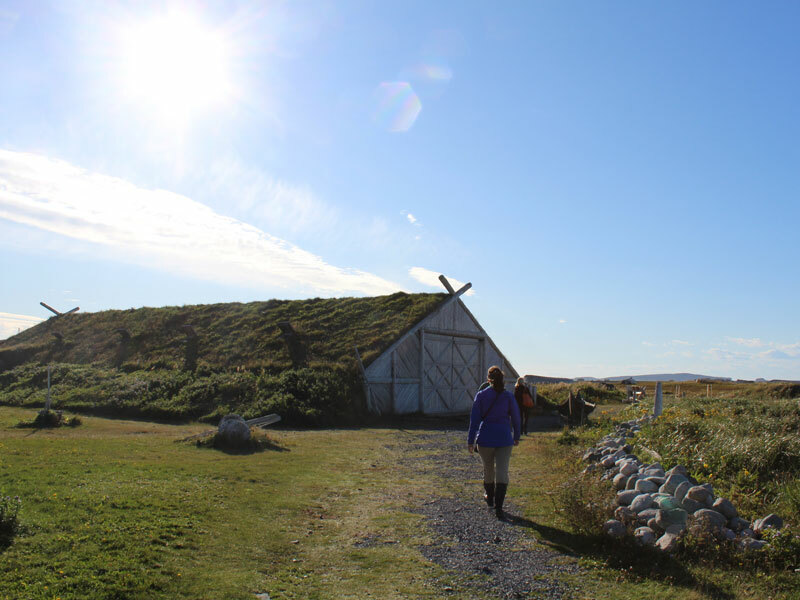 Next door to L’Anse aux Meadows, discover an interpretive Viking village bringing history to life with costumed interpreters, a full-scale replica Viking ship and interactive performances. Tip: Check out Dark Tickle Company for gifts and home-made chocolates before heading back to your accommodation for the evening. After we had our fill of Viking fun, it was time to head back (roughly 5 hours) toward Deer Lake where we’d depart from the next day. Deer Lake is a fairly modern city and where most Newfoundland driving trips will end unless you loop back to St. John’s. We stayed near Deer Lake in Steady Brook at Marble Inn attached to the ski resort (yes, Newfoundland has a ski hill). In addition to skiing, Marble Resort offers Canada’s highest zip line, which of course, we had to try out before our flight. The adrenaline rush was better than any amount of espresso and was a fun send off to an unforgettable trip. 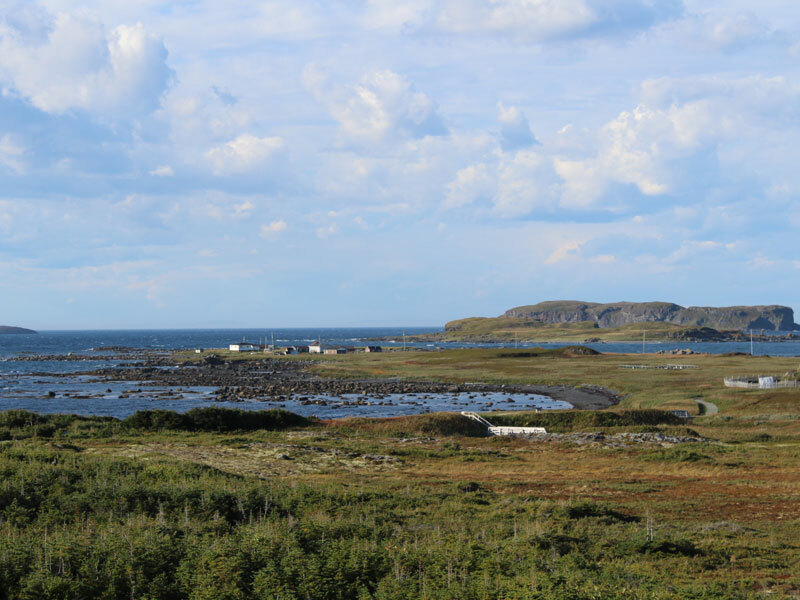 For our complete itinerary, check out the Newfoundland Discovery journey and add Fogo Island Inn to the trip. It's bigger than you think! It would rank 4th largest state after California if it were part of the US. It's also closer than you think - 3 hours from Toronto, 4 from New York. Accommodation options are boutique and book up fast! So don’t wait to contact us and reserve your hotel arrangements. Be sure to book a mid to large size vehicle as the roads can get pretty bumpy in areas and you’ll want the extra room for comfort too. Top spots to see icebergs: St. Anthony, Twillingate, Bonavista, Fogo Island and Point Amour. Want more travel tips and inspiration like this? Join our newsletter list here! Any questions about our trip? 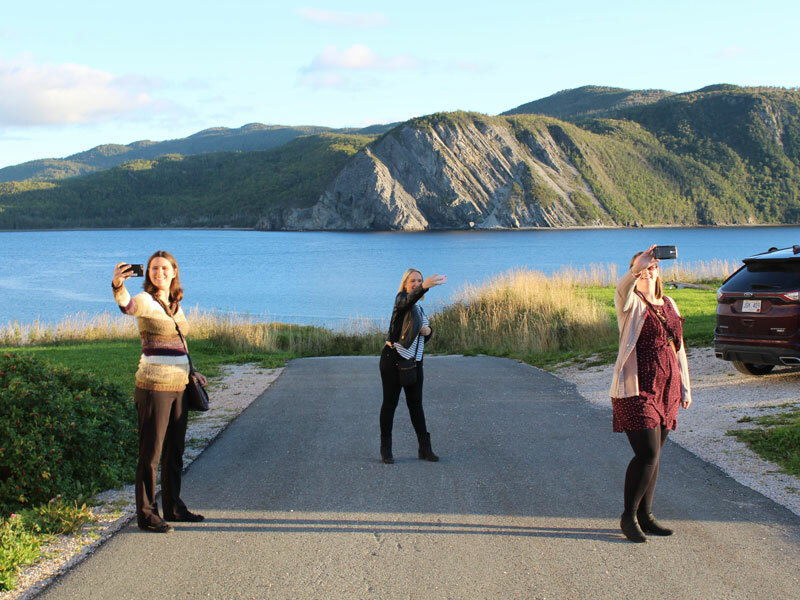 Let me know below or contact our team to start customizing your own Newfoundland journey. 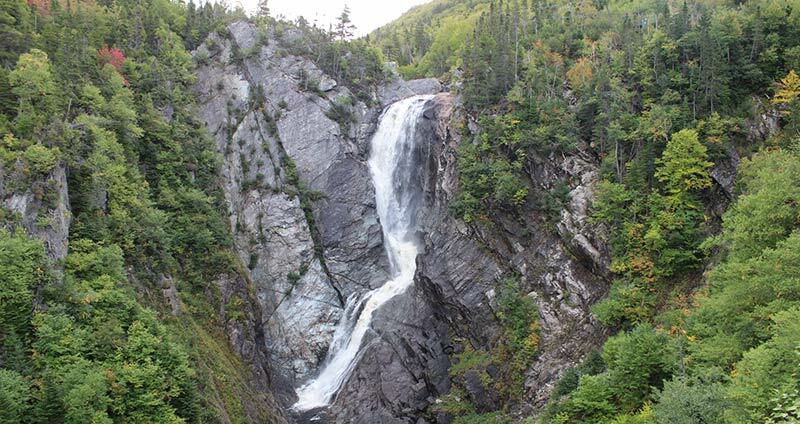 All of these places are the best for having enjoyment but I have a good experience of Gros Morne National Park because I have been there couple of the times in my whole life to enjoy my picnic party and every time had hug fun there. In my point of view it is a perfect place to enjoy outdoor activities.